Now that autumn has arrived, hearty meals that stick to your ribs are on my mind. Not that it has gotten colder here. We are still having temperatures in the 80’s right now. However, I can use my imagination and my Mom’s updates of NY weather. I’m in the process of finding awesome slow cooker recipes that aren’t muddled, bland and watery. In my experience, that has been the sad case most of the time. I would love to use my slow cooker more often, especially on the days that I’m working. (And probably even more so when we finally become parents to two toddlers!) It would be awesome to come home from work, throw the ingredients into the pot, and have magic fairies working on my dinner while I sleep. I then wake up to an incredible, homey aroma that is wafting through the house, and when Sergi comes home all I have left to do is set the table. 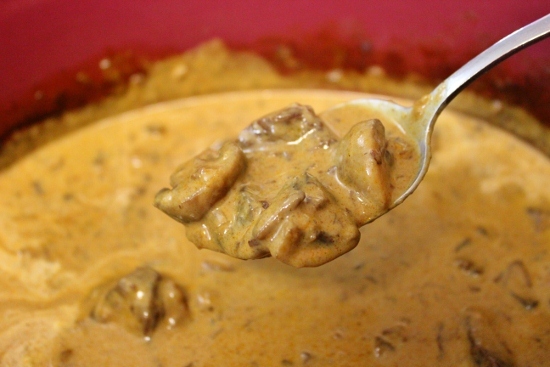 I have an AMAZING Beef Stroganoff recipe already, and we really love the flavors of that dish. Scrumptious beef and mushrooms in a creamy, tasteful sauce is a favorite in our house and I make it very often for guests too. 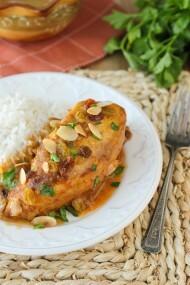 I loved the idea of making this recipe in the slow cooker. I had recently bought one of America’s Test Kitchen’s cookbooks, Slow Cooker Revolution and adapted their recipe a bit. 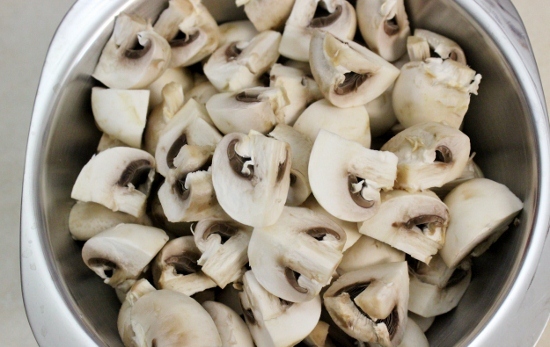 Trim the mushrooms and cut them in half if they are small or quarter them if they are large. Heat 1 Tablespoon of oil in a large skillet. I used my dutch oven since I was using my large skillet for something else:). Add the mushrooms, season with salt and pepper. 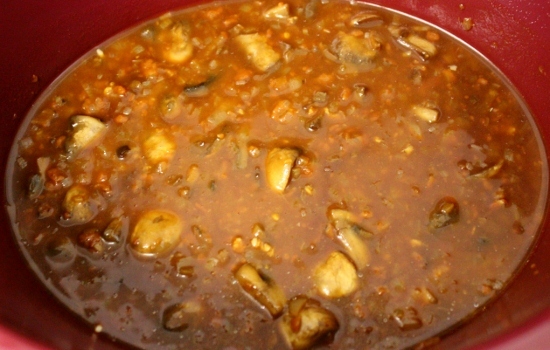 Cook for about 10 minutes, until the mushrooms are browned and all the liquid is cooked off. Place them in the slow cooker. In the same skillet, add 1 1/2 -2 Tablespoons of oil, heat until shimmering, add the onions, tomato paste, garlic, porcini mushrooms and thyme. (I didn’t use thyme. I usually do, but I didn’t have any on hand that day. Cook until the onions are softened, about 8 minutes. You may be wondering why I’m taking the time to brown the mushrooms and cook the aromatics. You thought the point of using the slow cooker was to throw stuff in the pot the way it is and walk away? Almost. You can almost never get away with it without adding at least a little bit of those sweet, roasted flavors that come from browning the meat, mushrooms or aromatics. If you add the onions and garlic without cooking them first, the flavors will be muddled and bland. Since the food cooks so long in the slow cooker, it needs a bit of a boost in flavor. 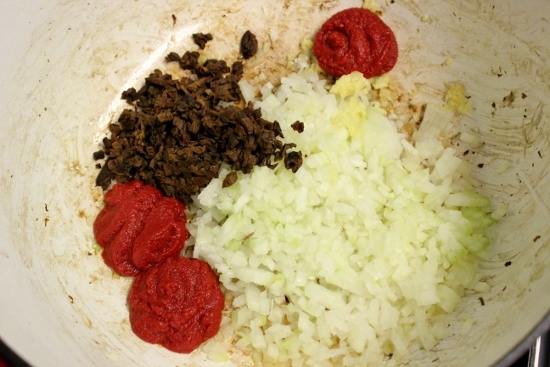 That’s why we’re using more onions and garlic and adding tomato paste, porcini mushrooms and soy sauce. It’s very concentrated and really tasty. They all contribute to a great sauce and we can skip browning the meat. Add the flour and mix until it’s well incorporated. 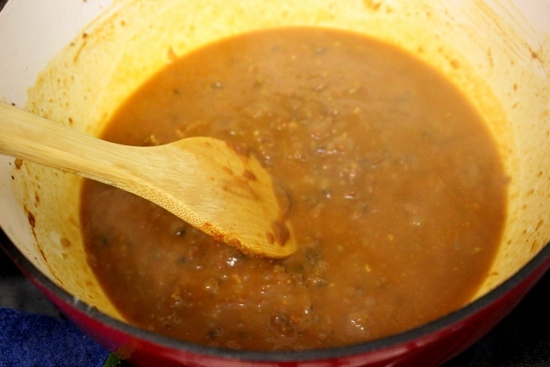 Slowly pour in the broth, making sure to get rid of all the lumps and scraping up all the yummy browned bits. They will add a lot of flavor to the broth. Add the white wine, soy sauce and bay leaves. Pour it all into the slow cooker. Season the beef liberally with salt and pepper. For soups and stews, chuck is a great option. In my regular version, I use sirloin, which tastes wonderful but needs to be cooked very quickly. Chuck comes from the shoulder and it’s a really tough piece of meat. When it’s cooked slowly, the strands of fat that are in the meat will break down and melt, making the meat really tender. It’s a relatively inexpensive cut of meat and has a great flavor, so that’s good news for us. Nestle the beef in the liquid. Cover and cook on low 9-11 hours or 5-7 hours on high. 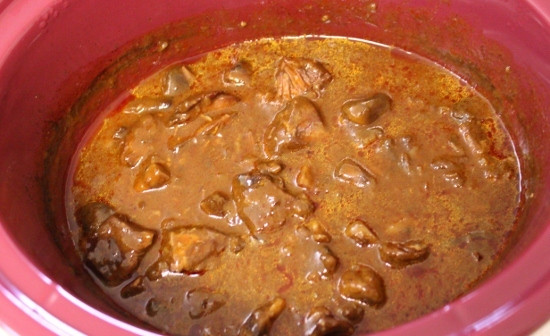 The meat should be tender and when you poke it with a fork, it will easily pull apart. Using a large spoon, remove any fat from the surface of the beef stew. Discard the bay leaves and the thyme stems. Add the sour cream and mustard. Season with salt and pepper, if it needs any. Add more broth if you want it to be thinner. 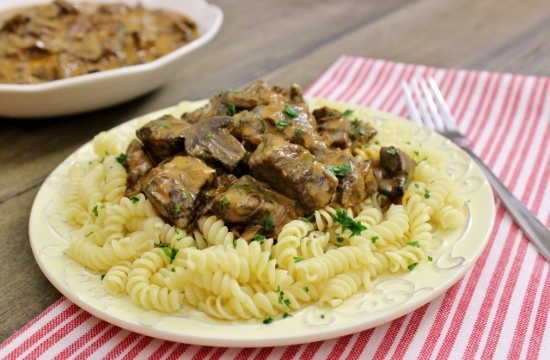 You can also add a splash of cream for a richer, creamier tastes to to make the Beef Stroganoff a little more mellow, since there are many acidic elements in it. What kind of recipes do you prepare in the slow cooker? I’m curious to see what other ideas you guys have. I’m on a mission to have at least a few recipes in my repertoire before we bring the children home from Russia. 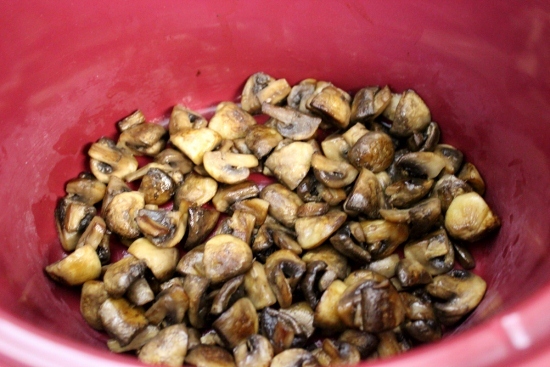 Trim the mushrooms and cut them in half if they are small or quarter them if they are large. Heat 1 Tablespoon of oil in a large skillet. Add the mushrooms, season with salt and pepper. 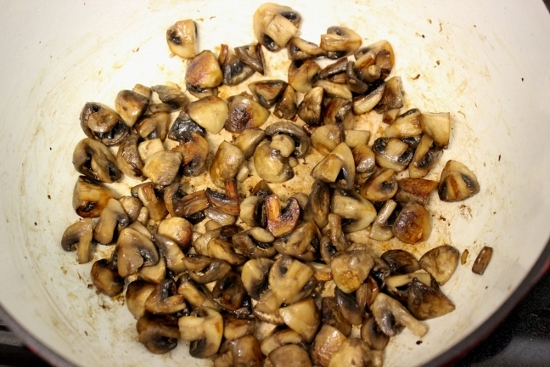 Cook for about 10 minutes, until the mushrooms are browned and all the liquid is cooked off. Place them in the slow cooker. In the same skillet, add 1½ -2 Tablespoons of oil, heat until shimmering, add the onions, tomato paste, garlic, porcini mushrooms and thyme. Season with salt and pepper. Cook until the onions are softened, about 8 minutes. Add the flour and mix until it's well incorporated. 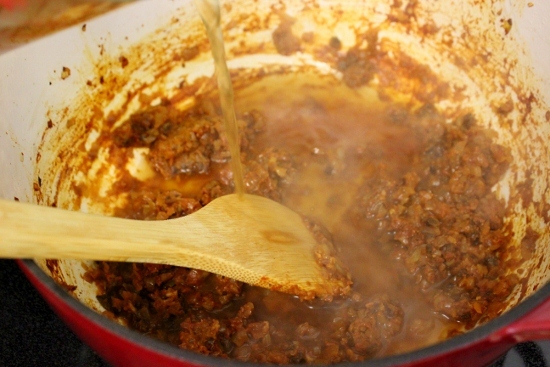 Slowly whisk in the broth, making sure to get rid of all the lumps and scraping up all the yummy browned bits. Add the white wine, soy sauce and bay leaves. Pour it all into the slow cooker. Season the beef liberally with salt and pepper. Nestle the beef in the liquid. Cover and cook on low 9-11 hours or 5-7 hours on high. 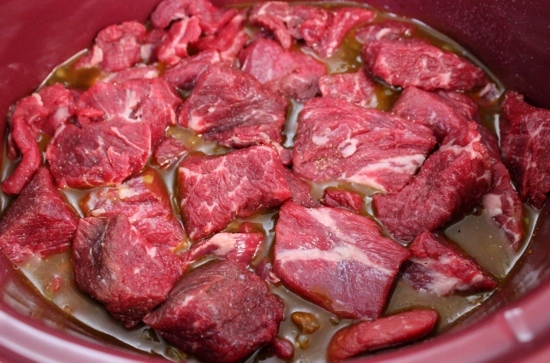 The meat should be tender and when you poke it with a fork, it will easily pull apart. 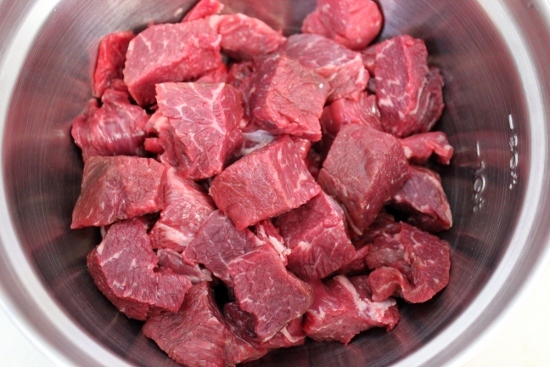 Using a large spoon, remove any fat from the surface of the beef stew. Discard the bay leaves and the thyme stems. Add the sour cream and mustard. Season with salt and pepper, if it needs any. Natashaskitchen.com has awesome slow cooker pulled pork. Comes out great every single time. Thanks for the tip. I’ll have to check it out. I like Natasha’s recipes too:). My mom has always made our Sunday lunches in a crock pot. From cabbage rolls, tushana kartoshka, stuffed manicotti, etc after church service we would come home and it was ready for us. I use my Crockpot for any recipes that require baking. 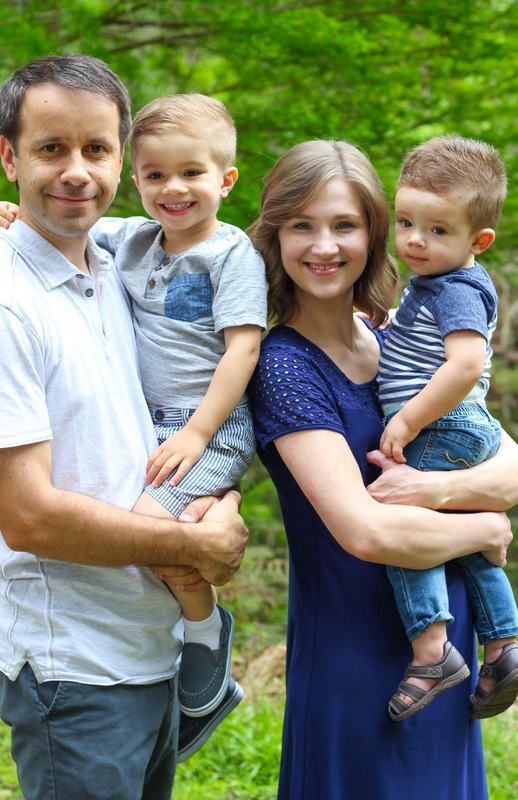 My husband and I prefer that our food is well done, no al dente pasta, no crunchy veggies (and so do my kids) so it works great for us! Can’t wait to try your crock pot recipes! Thanks for sharing with us. Sundays are definitely great for slow cooking. I’ve made stuffed cabbage rolls in the slow cooker before. I also made some soups, chicken wings, meatballs and even made a french toast casserole for breakfast. I’ll have to keep trying more recipes. Thanks for the great ideas. looks looks like a great recipe for sunday…..Thank you so much! I will try it out!!!!!!! Cooking wine or regular? What brand do you typically use? Thanks. I use a dry white wine, Caberbet Sauvignon. Where do you get the dried mushrooms from? And does tomato sauce or paste make a difference? That’s a great question. You can find dry mushrooms in most grocery stores. They are located next to the regular mushrooms. They are also sold in Costco and maybe Sam’s Club. I buy dry mushrooms online. They are much cheaper that way and taste amazing. The quality is phenomenal. If you’re interested, check it out. You need to use tomato paste in this recipe. If you don’t have any on hand, you can certainly use tomato sauce, but it won’t have that rich, concentrated taste as the tomato paste. 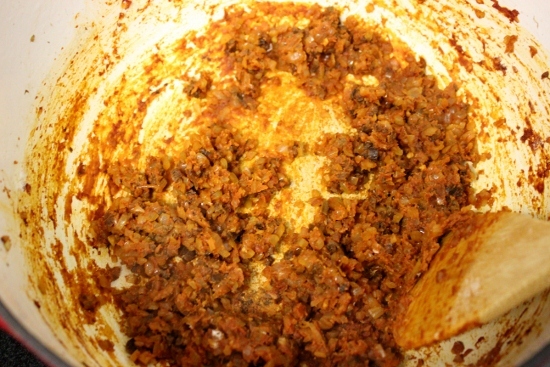 Tomato paste is great to use for stews or braises that take a long time to cook, since it gives a boost to the flavors. This was absolutely delisious. Buckwheat worked so well with it. I wouldn’t have thought of serving it with buckwheat. What a great idea. Thank you, Olga:). I will definetly be trying this out soon! Looks delicious! I’ll be sure to share more in the future:). Do you boil the beef before putting in crock pot so all that Brown dirty stuff would come out or no? No, Val, you don’t need to boil the beef. Follow the instructions exactly as I have written them. Is Dijon mustard sorta like rissian store mustard? I haven’t had Russian mustard in a LONG time, so I don’t really remember what it tastes like. I’m sure you can use it if you like. if I use chicken instead, how long should I cook it?? 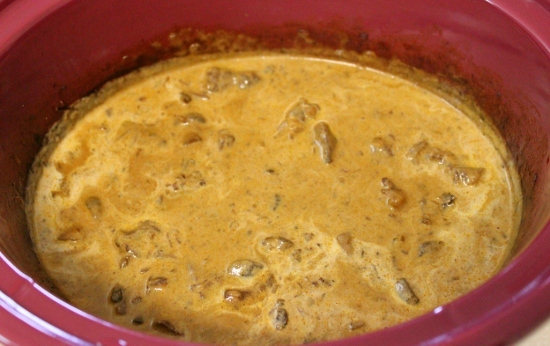 I’ve never used chicken for the slow cooker version of Beef Stroganoff, so I’m not sure. If I were you, I would use dark meat only, not chicken breast for this recipe. Let me know how it turns out:). my hubby loves Russian style pasta! so I followed your receipe for the most part. it turned out awesome. he loved it. this sunday I will make it again for family get together dinner and buy the extra ingredients I didn’t have. cant wait!! thank u Olga-your awesome! Thanks Alina! I’m glad it worked out for you. Enjoy your time with the family:). we also had buckwheat the nite before and had the sauce on the leftover buckwheat it worked very good! I’ve never had this with buckwheat, but it sounds delicious. I’ll have to try it out soon. Thanks for the great tip. This recipe is amazing!! I have made it multiple times already. First time I cooked off large chunks of potato and then poured this crock pot beef over it and drizzled with shredded cheese….umm can you say bomb?! 🙂 thank you for sharing. I actually have it going in the crock pot right now over night and am trying to see if it will work with beef stew. I am using the same recipe you have, but added potato and carrots and ketchup because I didn’t have paste. Oh and brown sugar and some spices and chicken “better than bouillon.” So far the juice tastes amazing so we will see tomorrow morning 🙂 thanks again for the recipe! Love your blog. 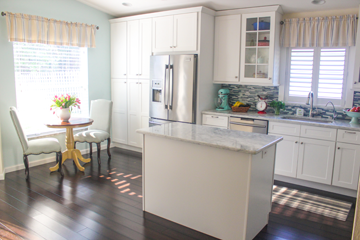 Thanks for sharing, Oksana!I loved all the variations. I’ll have to try them myself sometime. Hi olga I was wondering which broth did u use in your recipe/which goes best with this recipe? I really want to try this it looks very good and based on reviews it tastes delicious. Going to be my first time using my crock pot which has been in my storage for almost 2 years still sealed 🙂 can’t wait. You can use either beef or chicken broth, whichever you like. I’ve used both. In most cases I use chicken broth, because that’s something I always have on hand. However, if I happen to have beef broth, it works just as well. Good luck! 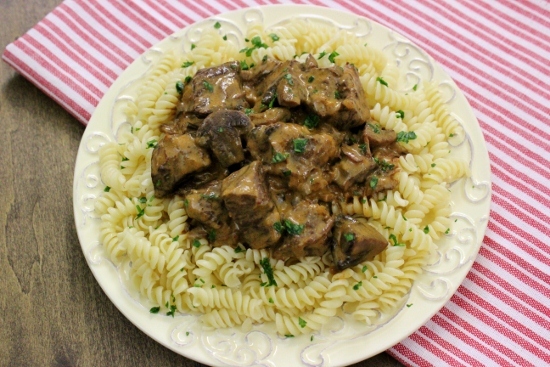 Enjoy the Beef Stroganoff! Yes, Olga, you can freeze it. my husband doesn’t like cooked mushrooms, do you think it will taste good if i skip the mushrooms? Nadya, you can simply omit the mushrooms. 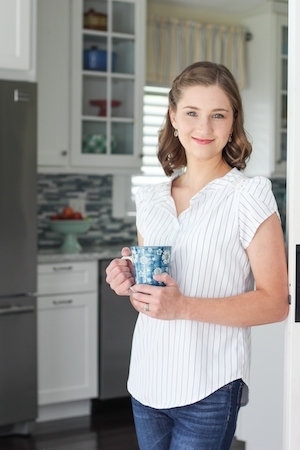 Since your husband doesn’t like them, you’re probably used to adjusting different recipes to how he likes them. This is no different. Of course, the taste will be different, but if he doesn’t like them, then what’s the point of cooking it:)?. Olga, I usually dont cook with wine because there are so many out there that I get lost and frustrated. could you please go over the different wines you use in your recipes, where you get them etc…? Maybe do a little wine post :))))) Thanks for this blog! you’re awesome! I will go into more detail in that post. That’s very interesting, Stephanie. I’ve never heard of a Wonderbag before. I just looked it up. Thanks for sharing. I’ve noticed all your older recipes such as this one, don’t contain pictures. Is there any way to keep the pictures even for your older recipes? I’m not sure what you mean Diana. 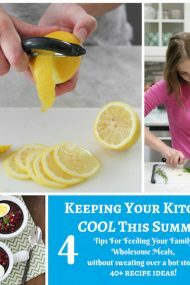 This recipe has 17 pictures. Maybe your computer or phone isn’t loading them? Try refreshing the page. Dear Olga, I just tried this amazing dish!!!!! Did exactly as you wrote and it came out perfect!!!)))) just omitted fresh mushrums, but I did add dry porcini that my mom sent me from Ukraine))) I am so happy about this recepie because I also had a few not successful experiences…. Love your site!!! 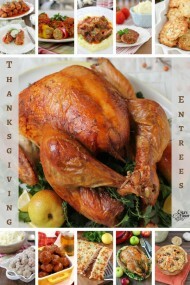 I have already tried many your recepies and they all were fabulous!!!! God bless you!!!!!! Dry porcinis are some of my favorite mushrooms, Olga. I love how much depth of flavor they add to any dish. Thanks for taking the time to write and let me know that you enjoyed this dish. Thank you very much for sharing this recipe! Could you give me an idea of the capacity of the slow cooker you used? I’m trying to decide whether I will need to scale down the recipe for my cooker. It’s a 4 qt slow cooker. Hope that helps. 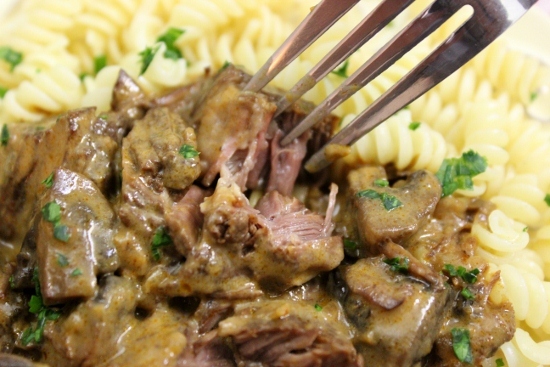 The best beef stroganoff I have ever made!!! I’m so glad you enjoyed it, Inna.